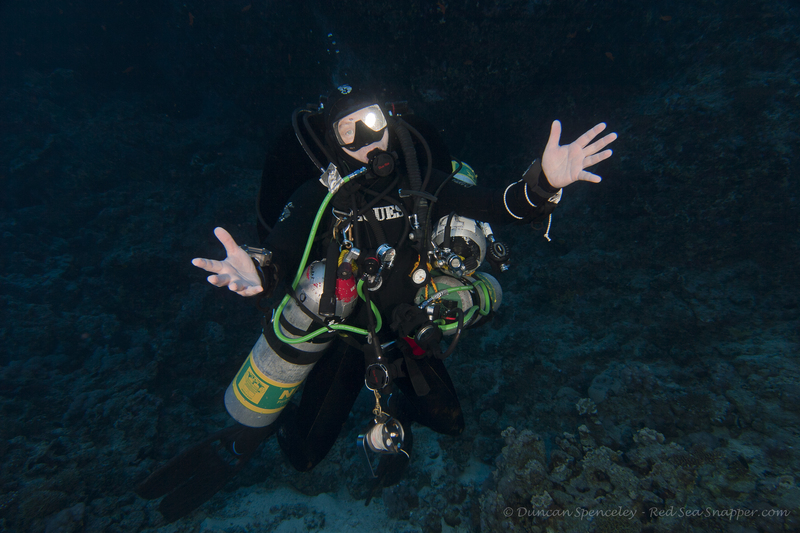 Tekstreme have just returned from a weeks northern technical diving safari exploring the wrecks and reefs in between Hurghada and the straights of Tiran. As always the trips produce a variety of stories and events, and this trip was not short of both. 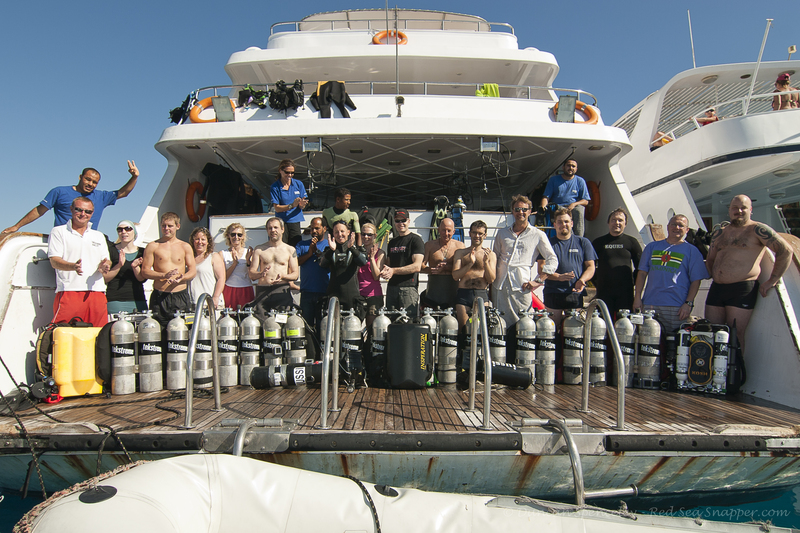 We welcomed some experienced technical divers from Finland. they did not bring santa with them but they did bring scooters and CCR units. Well, for Vesa, he brought most of his CCR unit but left one vital part of it on the back seat of his car at the airport!! The Sentinal does not work very well without its breathing loop!! oops! Jani, spent most of his trip flying past us all on his zooped up super size scooter, most of us trying to grab his fins to hitch a ride!! Daniel and Nancy made their technical courses on board passing advanced nitrox and decompression procedures combo and advanced nitrox respectively. Well done guys. Hanno discovered that the air in the wing can move and for once he found that his trim was how it should be. Fabrice realised that a twin 15 litre is not always necessary! Shaun has managed to get in a lot of hours on his new inspiration, and soon will be ready for the mixed gas course. Anni had a small stop over sharm, where she visited the chamber and the supermarket – thanks for the treats. Thankyou to Chris, Duncan and Lea as fellow guides on board for making the trip run smoothly and enjoyable for all. The next trip is planned in for February 2011, lets hope it is a good as this one. There are still some places left, but they do not last for long! !